I shoot in a photojournalistic style and enjoy capturing authentic moments when they naturally occur. I am intrigued by the underlying stories of how businesses operate and telling the tales of the employees who make these businesses succeed. Every business has a beginning, and my journey to photography and videography began in Belgium in 2001. I was an Air Force officer stationed in a small town in western Belgium and wanted to learn how to take great photos of the amazing locations I would visit around Europe. I began devouring every British photo magazine I could find and creating my own “Cliff Notes” notebooks of what I had learned. I taught myself photography this way starting on a simple Canon G2 pocket digital camera and working up to a Nikon D100 a year later. I was next stationed at the Air Force’s 1st Combat Camera Squadron who is responsible for taking the photos and video for the AF during military exercises and war. 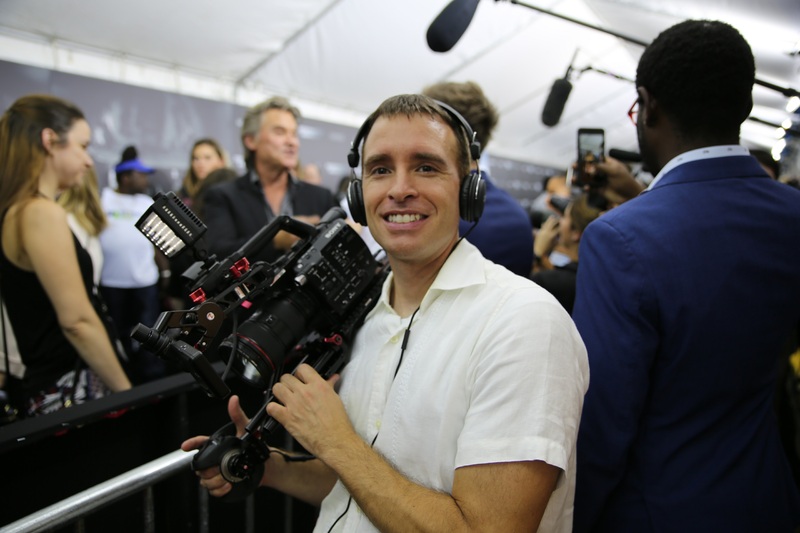 Here I was exposed to dozens of lifelong professional photographers/videographers and I learned the video production side whereas I had only known about photography to this point in my self-education. After leaving the AF in 2007, I photographed a few weddings for friends and filmed my first wedding in the Bahamas in 2010. This experience led me to expand my craft and work with Technicolor in Hollywood for a year and a half as their sole marketing department photographer, videographer, and video editor. While with Technicolor, I shot and edited dozens of short-form videos ranging from new products launches, to facility construction projects, to the Consumer Electronics Show. I’ve continued learning and shooting for a wide range of clients including UTC Aerospace Systems, Kroger, Asurion, MTI Film, Audeze, Envy, Todd-AO Studios, The Village, Mason Zimbler, Patio Drugs, Day One Group, and the Sankara Eye Foundation.